The car for todays test is a Subaru WRX STI MY2011. 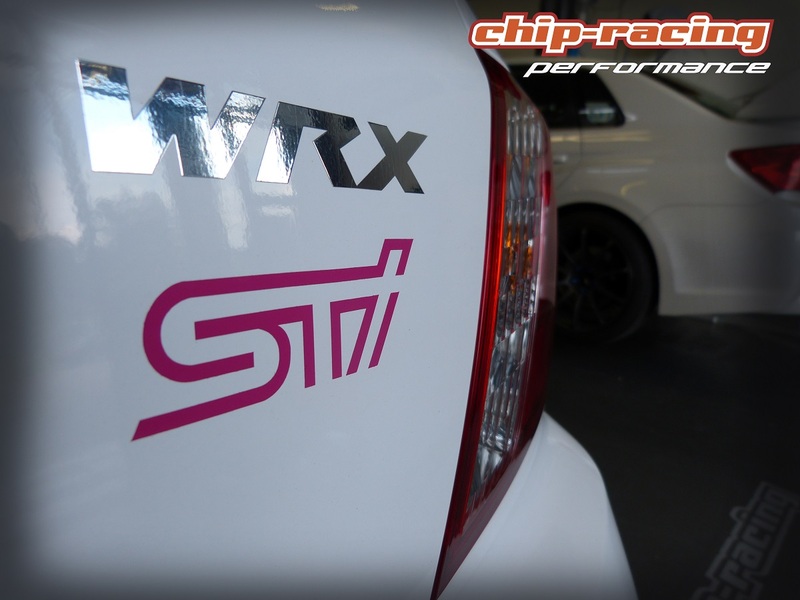 Chip-Racing is tuning those cars since they were introduced back in 2008 and has a huge database for the newest EJ25 generation. With our CRTEK2 for the 08-13 models we have a street legal solution ready for our customers. For those who don’t want the Invidia exhaust and open intake we have the test with various bolt-on’s! As usual we took the car on our dynapack to get a baseline. 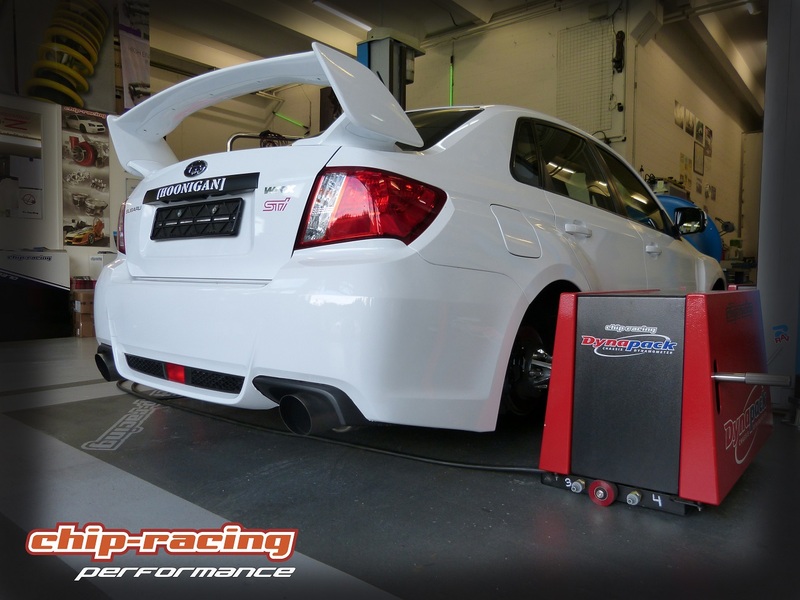 99% of all EJ25’s we measured had the power output the factory promises! 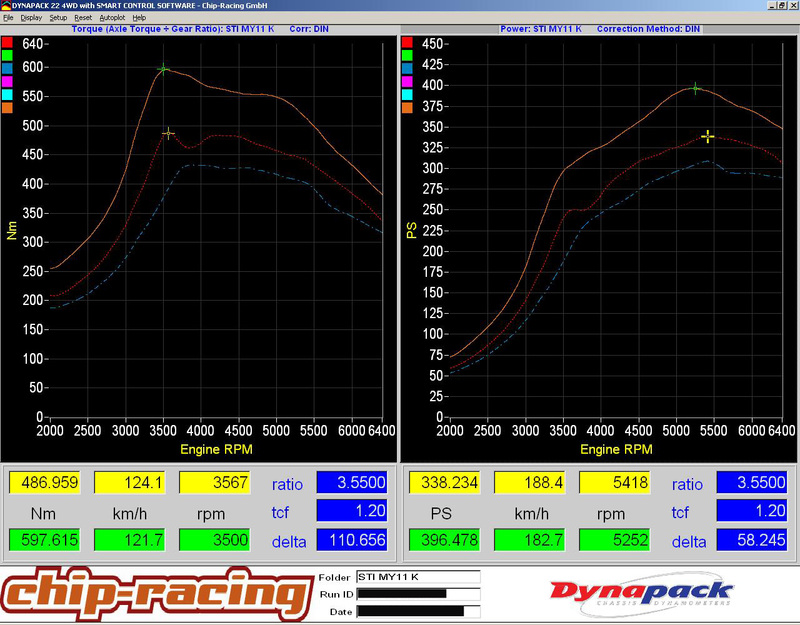 After that we installed the bolt on parts and made some more runs on the dyno. When we take a look at our dynoplot we see 3 major things! The torque and therefor the power of our testcar has increased quite a bit. This comes from the reduced backpressure in the exhaust which results in more boost, ergo more torque and power. Second thing we notice is that the turbo spools quicker and delivers more boost at lower RPM. This is the merit of the Tomei manifold. Due to its design, exhaust gases reach the turbinewheel smother than with the stock manifold, making the turbo work more efficient. Third point we see is the powercurve itself. 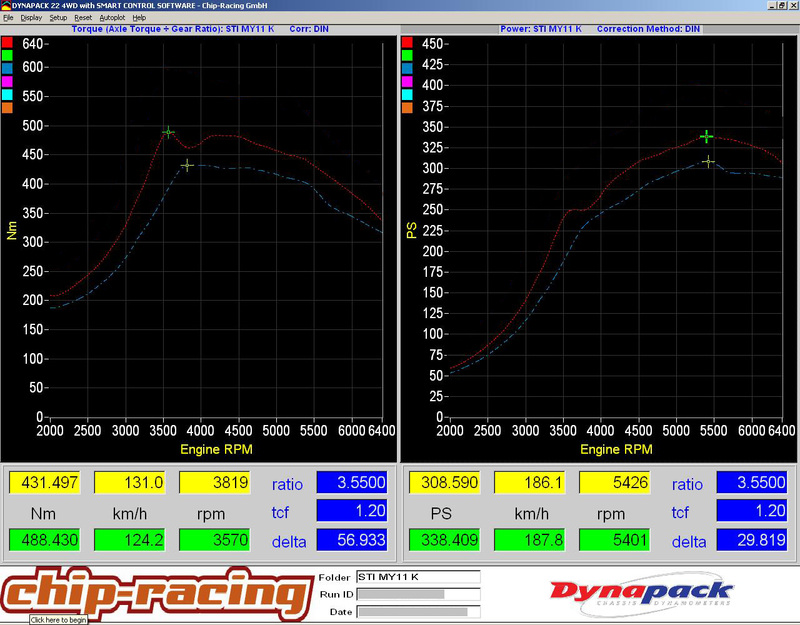 Due to the lower backpressure and better spool the boost is increased and overshoots at around 3500rpm. This causes the ECU to regulate the boost back a bit. The resulting groove in the curve is not just visible on the dyno, it can actually be felt while driving. To get rid of this side effect a custome tune is needed! With the right hardware and bolt-on’s the EJ25 engine shows good gains. Surely the complete exhaust system helps a lot, but don’t forget about the missing TGV. In stock from, those are very restrictive and prevent the engine from breath free. No matter how good the hardware is, your car will never feel perfect unless it is tuned on a dyno. This will generate the maximum power out of your engine while keeping it safe!